A creative and fun way to learn German! We started our German language courses, which are subsidised by the German government, in 1968 and conducting German language courses has remained one of our main activities ever since. Our courses are conducted by highly qualified teachers and besides acquiring language skills, students learn about social life and culture in the German-speaking countries. 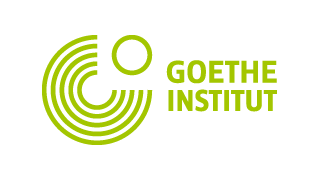 In accordance with the Goethe Institut, our courses follow the Common European Framework of Reference for Languages (CEFR). Two sublevels can be completed in one year. Once a week course held on Saturday with a duration of 3 hours incl. a short break, per sublevel in total 60 hours. Three sublevels can be completed in one year. The course is held twice a week, each session with a duration of 2 hours incl. a short break, per sublevel in total around 60 hours. Two full levels can be completed from January until June or two full levels from July to December. The course is held daily from Tuesday until Friday and each session with a duration of 3 hours incl. a short break, per full level around 120 hours. Daily from Tuesday until Friday and each session with a duration of 4 hours incl. a short break, in total around 144 hours. Start learning in a fun way! Become a part of our active and committed student community!